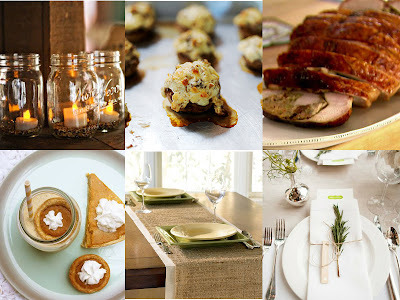 i'm dreaming of centerpieces and yummy recipes. place settings and fancy desserts. i'm dreaming of minimal decorations and classic food. romantic and rustic. traditional and modern. thanksgiving only comes but once a year, who says you can't have it all?